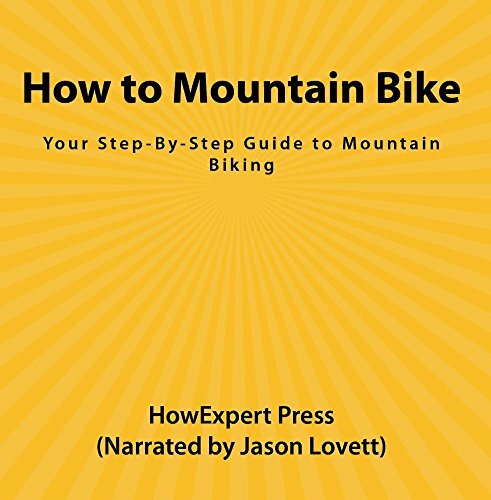 If you want to learn the basics about mountain biking by an everyday expert, then get this step-by-step guide. In this no-fluff, short, and straight-to-the-point step-by-step guide, you will discover the tips and tricks on how to mountain bike the right way. - How to mountain bike the right way. - Mountain biking jumping secrets revealed. - Bunny hop mountain bike tricks. - Wheelie mountain biking tips. - How to ride the mountain bike on trails. - How to ride the mountain bike on rocky terrain. - Step-by-step mountain biking techniques. - Gear shifting tricks explained. - How to choose the right helmet for mountain biking. - How to choose the right clothing for mountain biking. - How to choose the right mountain bike for yourself. - Different type of mountain bikes explained. - How to stay in great shape for mountain biking. - How to maintain your mountain bike the easy and affordable way.